The Egyptian government must seek reparations for Egyptian prisoners of war captured during the 1967 and 1973 wars with Israel, following a Supreme Administrative Court (SAC) ruling issued on Saturday, which upheld a 2008 decision. Amid warmer relations between the two states, the Egyptian government filed an appeal to challenge the 2008 ruling in a case filed by families of prisoners of war in 2001, arguing that the matter is sovereign in nature. In its decision to overturn the appeal, the SAC claimed that the defense successfully demonstrated that the Egyptian government has neglected the rights of tortured prisoners in failing to demand Israeli investigations into the crimes. During the trial, the defense team presented evidence to back up claims that, due to the government’s inaction, hundreds of Egyptians who were killed, injured and tortured by the Israeli army – including civilians – were not given their right to reparations. The SAC insisted the state is obligated under international law to defend the rights of its citizens against other states, as per articles 31 and 32 of the Geneva Convention on the treatment of protected persons. According to the Wahid al-Uqsuri, the lawyer representing those who filed the lawsuit, there are 15 prisoners of war among the 24 people who filed the case, but the verdict means the government is now obliged to seek reparations for any Egyptian citizen who was a victim of crimes by Israel during any of its wars with Egypt. The Egyptian government must file a lawsuit against Israel at an international criminal court, according to Uqsuri, otherwise it is culpable under Article 123 of Egypt’s Penal Code, which punishes government officials who refuse or fail to carry out a court order. The SAC further reprimanded the Egyptian government for failing to act following the 2007 Israeli documentary Ruach Shaked (The Spirit of Shaked) about the Shaked commando unit, which took part in the 1967 war between the two countries. The documentary caused a diplomatic episode following claims that the documentary contained evidence of the murder of 250 Egyptian prisoners of war, an accusation denied by the filmmaker. The court said the government had not followed through on its response to the crisis and did not take further diplomatic or legal steps against Israel. 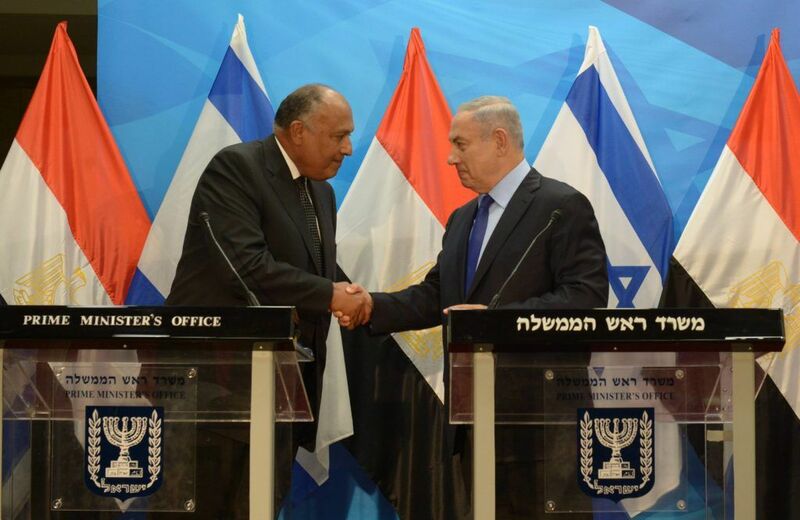 After decades of peace between Egypt and Israel following the signing of the 1979 Camp David accords, the years following President Abdel Fattah al-Sisi’s 2014 election have seen warmer relations, including a 2016 visit by Egypt’s foreign minister – the first in over a decade – and greater security coordination. In 2008, a court order ruled in favor of halting Egyptian gas exports to Israel at reduced prices, but this was overturned in 2010. The exports were ultimately halted in 2012 for other reasons, including repeated militant attacks on the pipeline and declining gas production. A subsequent dispute ensued after Israel won an arbitration case against Egypt for halting the deliveries, which Egypt appealed. The conclusion of the dispute is yet to be reached.